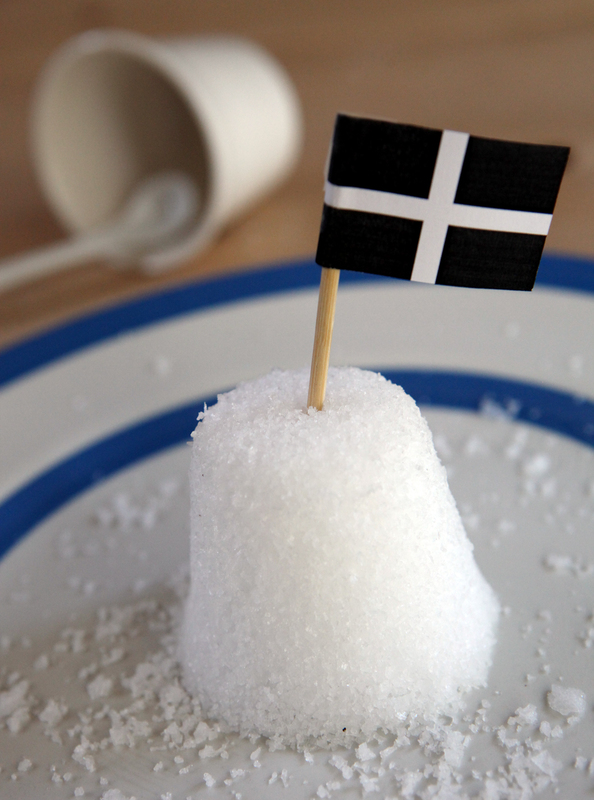 Cornish Sea Salt - Proud to be Cornish! At the Falmouth Oyster Festival I was lucky to meet Graham from the Cornish Sea Salt Co. in the food hall. Having used the salt for several years, both for cooking and as table salt I was keen to find out more about the company and the products they sell. 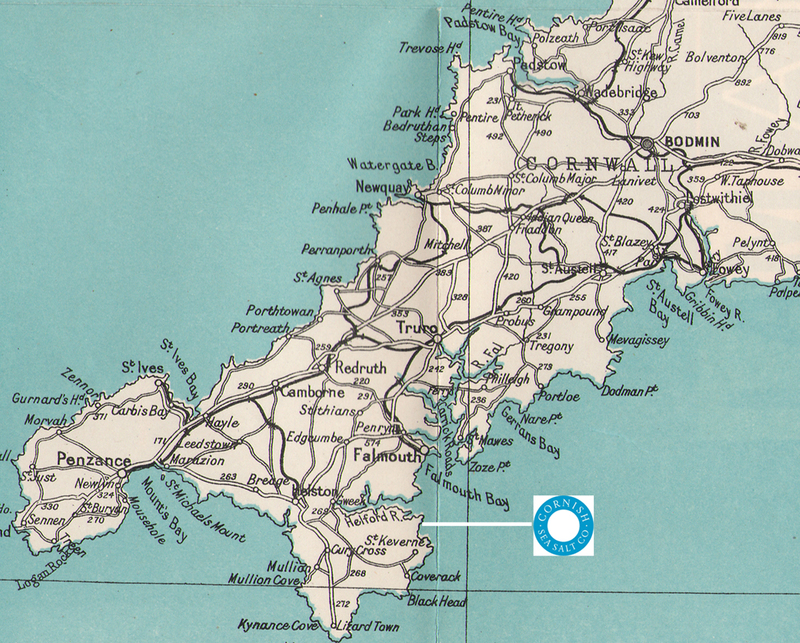 Being based at Pol Gwarra, Porthkerris on the Lizard Peninsula in South Cornwall you could say they are pretty close to the sea! The salt which they harvest is hand harvested 8 metres from the Grade A classified water. Cornish Sea salt not only looks great on the table, it retains over 60 naturally occurring trace elements vital for our wellbeing and gives more taste for less salt making it a far healthier alternative to the ordinary table salt most of us have in the cupboard. 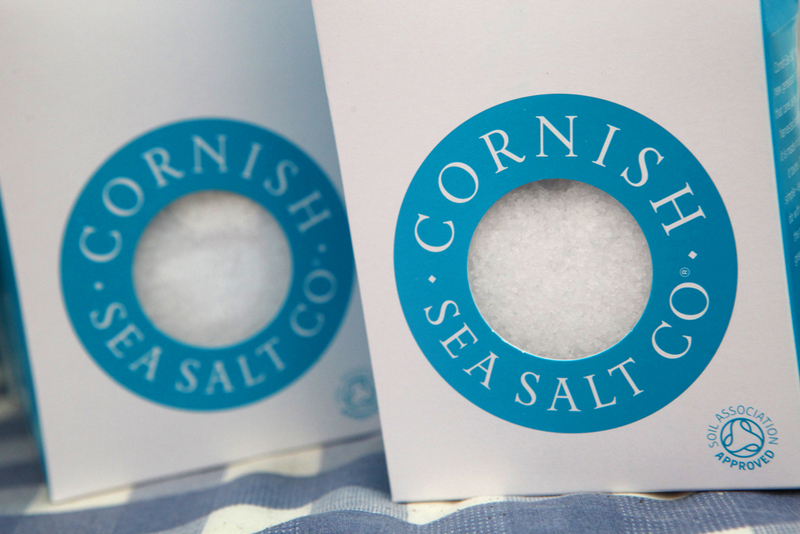 When Becky first brought me back some Cornish Sea Salt smartly packaged in some trendy little box I remember thinking, wow what a great idea – so simple yet so brilliant! On trying a little on my finger, it’s a million miles from your basic table salt, in taste, texture and appearance. 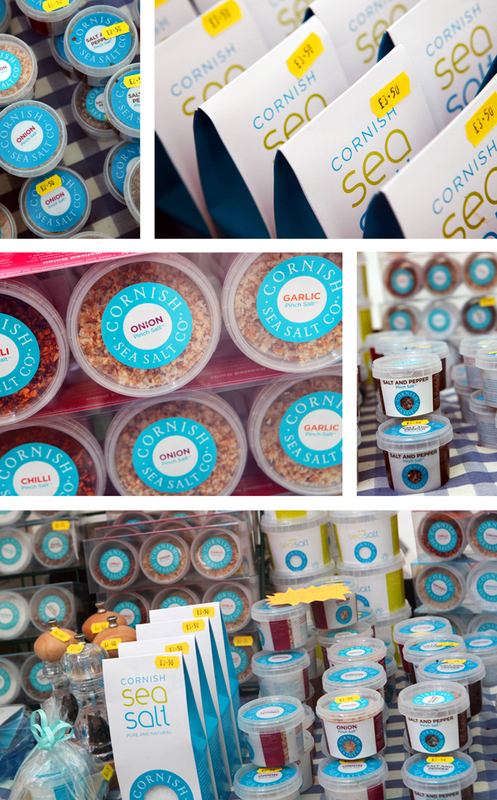 If there is one thing you should do this week to kickstart a healthier diet then buy yourself some Cornish Sea Salt you will be glad you did! Now stocked at various food shops across the country you may be lucky for find some on your high street. Click here and enter your postcode for your nearest stockist or buy online here. Once you have bought some why not try some of their gorgeous recipes here. Available in original or why not try their popular pinch pots where the sea salt is mixed with different flavours to further enhance your dishes. Flavours include Chilli, Onion, Smoked, Salt and Pepper and Garlic. Becky loves the chilli salt for jazzing up houmous, dollop the houmous (shop bought!) into an attractive bowl and a drizzle of oil and a sprinkling a chilli salt. Great flavour and looks more exciting too! Used by many celebrity chefs including Hugh Fearnley-Whittingstall, Mark Hix, Jason Atherton and Rick Stein its a must for any budding chefs.